Choosing the right software isn’t easy and you often have to try quite a few different applications to find the ones that suit you. We’re all looking for different things, and quite often a single piece of software won’t do everything that we need. Some people simply want a Photoshop replacement without the subscription payments, some want an image cataloguing tool that can also carry out photo enhancements, some primarily want an image effects tool for crafting a very particular ‘look’. Most of us want a bit of all of these things. So these reviews are designed not just to see whether the software out there is any good or not, but to explain exactly what it does and how it might fit into your workflow. I don’t review every program out there, only those which I personally consider add something significant to the image-editing process. There are some notable and quite possibly very popular programs not in my review list but that’s because – and I don’t want to upset any publishers out there – I don’t think they’re different enough, interesting enough or just plain good enough. I am always ready to change my mind, though! Lightroom has become a standard tool for a large number of photographers and it does streamline the organisation and editing of large numbers of photos. But while it’s powerful and effective, its raw processing is not the best and its organisational system can feel quite awkward. Worse, for many users it’s become very slow to use. But it is convenient and powerful, and Adobe’s Photography Plans are very good value and include a constant stream of free updates. 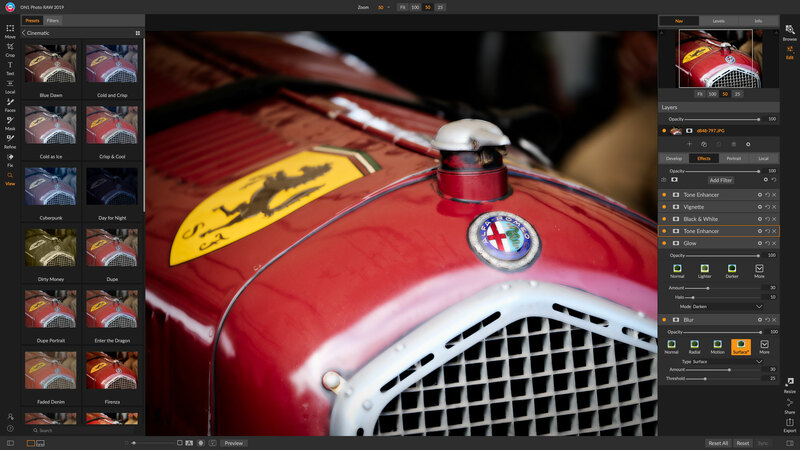 Where is Adobe actually going with Lightroom CC? Its cloud-based storage is convenient, but locks you into Adobe’s expensive storage subscription, and it does a lot less than Lightroom Classic with little sign it’s going to catch up any time soon. It looked good at the start but hasn’t really gone anywhere.